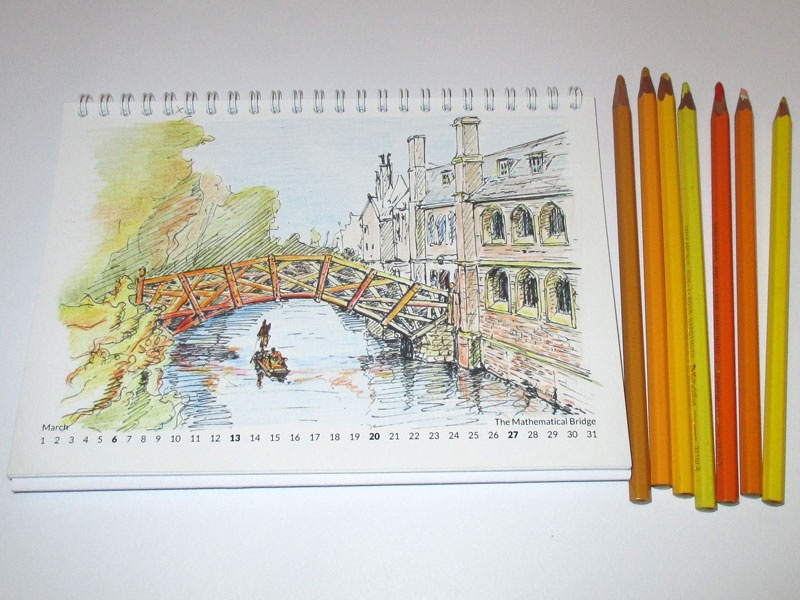 Cambridge desk calendar 2016 containing 12 ink drawings of beautiful city of Cambridge. Limited edition calendar, A5 (21x15cm), printed on 200g Silk Coated paper. It is black and white and you can colour it your way!